Like many knee injuries, a meniscus tear can be painful and debilitating. Unfortunately, a meniscus tear is a most common cartilage injuries of the knee joint. Get to know the importance of meniscus in our knee and, the available treatment options if you get injured, what are the primary measures to be taken care, and more in detail. The meniscus is a piece of cartilage in your knee that cushions and stabilizes the joint. It protects the bones from wear and tear. However, all it takes is a good twist of the knee to tear the meniscus. In some cases, a piece of the torn cartilage breaks loose and catches in the knee joint, causing it to lock up. Moreover, meniscus protects the joint surface and absorbs the shock produced by activities such as walking, jumping and running. The meniscus is a crescent-shaped cartilage that sits atop the medial (inner) and lateral (outer) plateaus of the tibia, contacting the rounded femoral (thigh bone) condyles and distributing their weight across a broad surface area. Acute tears: This kind of tears usually occurs when someone’s knee is bent or twisted forcefully, during the leg is in a weight bearing position. Degenerative tears: These types of tears are more common in aged people. 60% of the population over the age of 65 probably has some degenerative tear of the meniscus. As the meniscus ages, it becomes less elastic and weak. Sudden changes in direction or stop quickly, in sports such as baseball, football, basketball, tennis, and cricket. Direct blow to the knee joint while playing a sport such as hockey, football, cricket, rugby or where the knee joint may be forced to twist or rotate awkwardly. Falling in a way that puts much strain on the knee during a fall as can happen in sports such as skiing or snowboarding. Torn meniscus symptoms may vary depending on the severity of the tears. Someone who gets a minor tear may only have acute pain and swelling that goes away after two or three weeks. Pain in the side or center of the knee joint, especially when squatting or twisting the knee joint. The medial meniscus, semi-circular fibrocartilage band is located on the inside of the knee, between medial condyle of femur and tibia. The medial meniscus is commonly injured because it is firmly attached to the medial collateral ligament and joint capsule. X-rays are not much use, however, may help in diagnosing another follow-up. MRI scans can detect meniscal tears and can also delineate the type of tear and thereby help in treatment. Also, loading the knee with specific maneuvers or a squat causes pain in the compartment with the meniscus tear. Once the diagnosis of a meniscal tear is made, you should discuss treatment options with a doctor or take medical opinion from an orthopedic surgeon. In most patients who have a symptomatic meniscal tear, arthroscopic surgery is selected to remove or repair the torn tissue. The meniscus tear can occur in one or more directions. Traumatic lacerations are usually vertical. Degenerative tears are commonly horizontal. 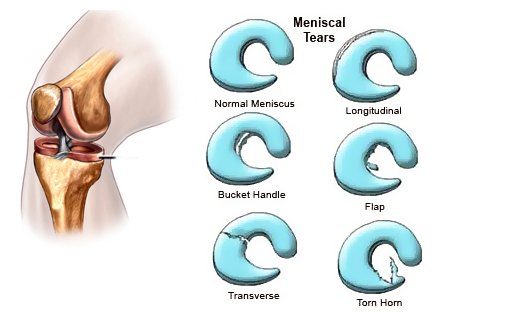 Bucket handle tear refers to when inner rim of the medial meniscus suffers a tear. 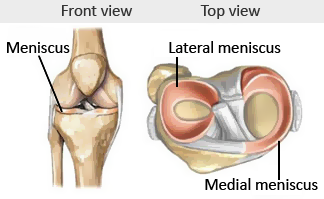 In some cases, the meniscus is crushed and resembles crab meat tear. Elevation of the affected limb to minimize acute swelling and inflammation. Patients who are willing to reduce their activities – temporarily or in the long term. To avoid future occurrence of meniscus tears, activity modification is necessary; for example, ceasing sports such as soccer or cricket. Patients are often aware of movements during activities that aggravate pain, but should also be conscious of avoid twisting on a weight-bearing, flexed knee. If the non-surgical management fails to relieve the symptoms, your specialist may suggest arthroscopic knee surgery. Knee arthroscopic surgery is most commonly performed surgical procedures. In this, a miniature camera is inserted through a small incision. This offers a clear view of the inside of the knee. The orthopedic surgeon inserts miniature surgical instruments through other portals cut or repairs the break. Partial meniscectomy: In this surgery, the damaged meniscus tissue is trimmed (cut) away. Meniscal transplant surgery: When your meniscus is severely damaged, it may lead to the articular cartilage protecting your knee joint begin to wear. As this articular cartilage wears away, it becomes rough and degenerated. Moving the joint along this exposed surface is painful. This condition is osteoarthritis. Recovery from an operation varies for different people and different clinical problems: If the meniscus has been repaired, weight bearing may be limited to the use of crutches for four to six weeks. This time period allows the repaired meniscus to heal. If we compare with open surgery, arthroscopic surgery causes limited scarring, has a quicker recovery time, and allows a more rapid return to work or sports. Patients who have a torn meniscus trimmed or removed can expect to use crutches or a walker for four to seven days. They may have some swelling for three to six weeks and can return to their normal activities in four to six weeks, if not sooner. 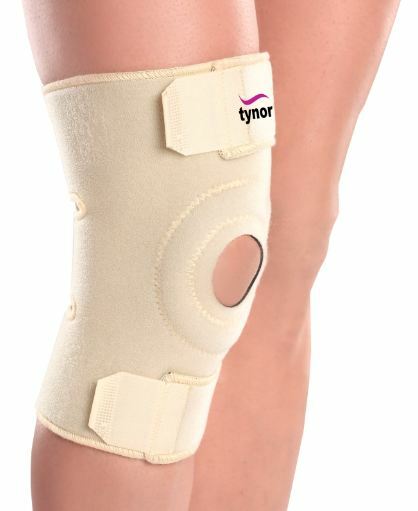 Rehabilitation: After the surgery, the doctor may put the knee in a brace or cast to keep it from moving. If you have had a meniscus repair surgery, you need to use crutches for about a month to maintain the weight off of your knee. Once the initial healing is complete, the doctor prescribes some of the exercises. Regular exercise to restore mobility and strength of your knee joint. You start with exercises to improve your range of motion. Strengthening exercises gradually added to your rehabilitation plan. For most of the tears, some simple exercises can help to maintain the strength of the quadriceps, hamstrings, calf and hip muscles. All these areas are important to your overall leg function after surgery. Exercises should only be done on the advice of your physiotherapist and only if you feel slight or no pain while you do them at home. You can prevent meniscal tears by performing exercises to strengthen your leg muscles. This will help stabilize your knee joint to protect it from damage. Use protective gear such as braces to support the knee during activities that may increase your risk of injury. Meniscal injury is common, and the medial meniscus (inner) is more commonly injured or tend to tear. Young and elderly patients typically sustain different types of tears. Proper diagnosis and management are essential to prevent long-term squeal. The Thessaly test is the specific clinical test to diagnose the meniscal injury. Magnetic resonance imaging (MRI) is the first line for investigating potential meniscal lesions, but should not replace thorough clinical history and examination. Conservative management is necessary for all patients with acute rest, intensive rehabilitation with physiotherapy and modification of activity. Referral to an orthopedic surgeon is important if the diagnosis is uncertain or there is a minimal improvement in the clinical review. Knee Arthroscopy, Meniscus Surgery, Meniscus Tear arthroscopic knee surgery, cartilage injuries, medical opinion, meniscal injuries, meniscus tear, physiotherapy, second opinion. permalink. Might be a nice addition to your site. if i can’t take a proper rest for 4 to 5 months, then whats happend? is it risky to dont take rest?